Bev spent 12 years as an Independent Sales Consultant, Director, and Advanced Sales Director for a multi-national direct sales organization. 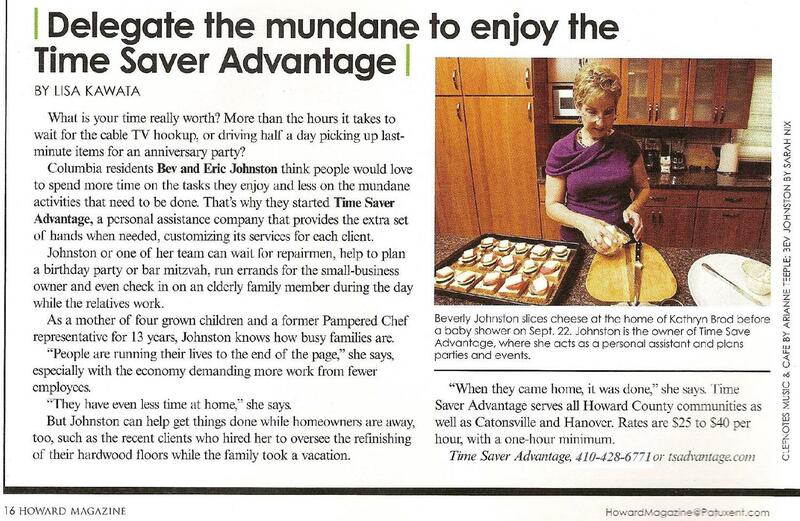 In 2007 Bev and her husband Eric recognized the growing need of working professionals for a personal assistant. Many professionals have strong demands on their time. 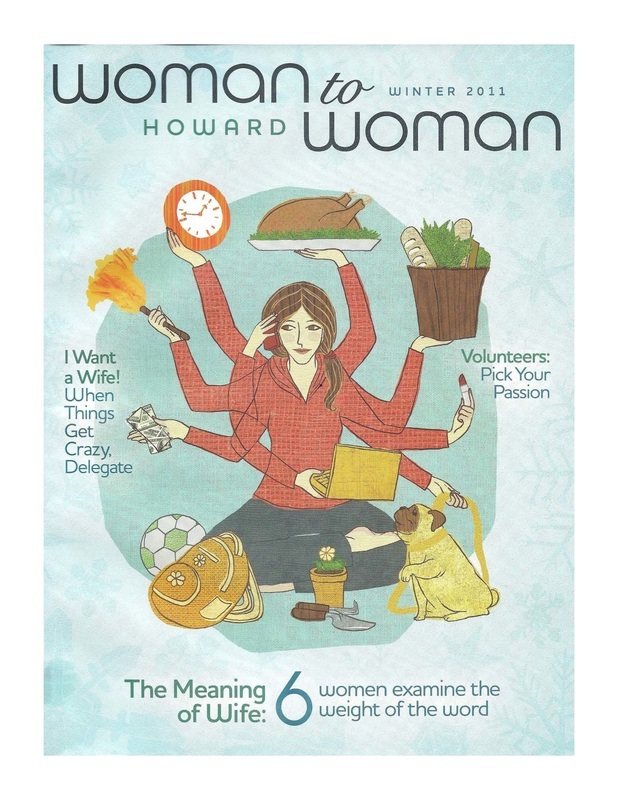 Their available time is better spent on their career or with their family than it is doing the mundane miscellaneous chores of life. It is a smart choice for them to outsource these tasks to a personal assistant so they can focus their time and energy on revenue-producing activities or on activities with family or pursuing personal enrichment. 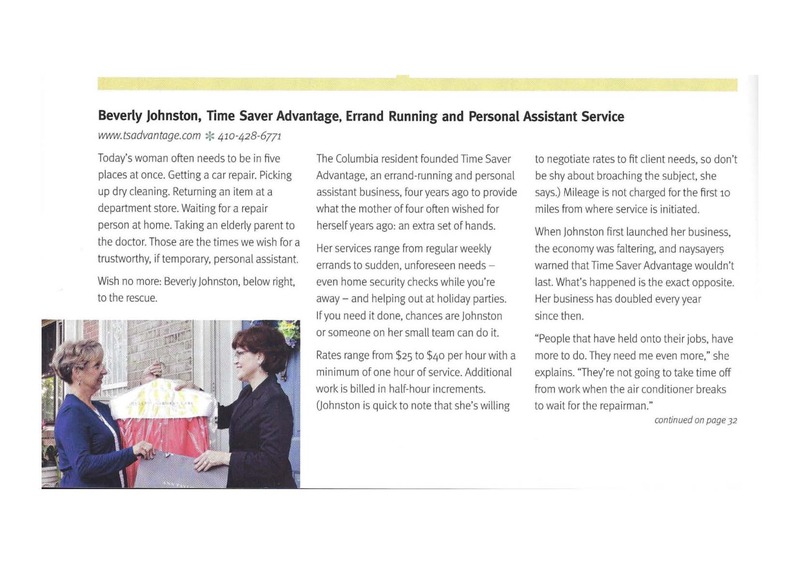 We believe Bev, who is a long-time Howard County resident, a professional and parent for over 30 years, has the experience and connections to effectively assist working professionals, freeing up their time for success in life. from Howard County and surrounding areas.